Play it on Steam Now! 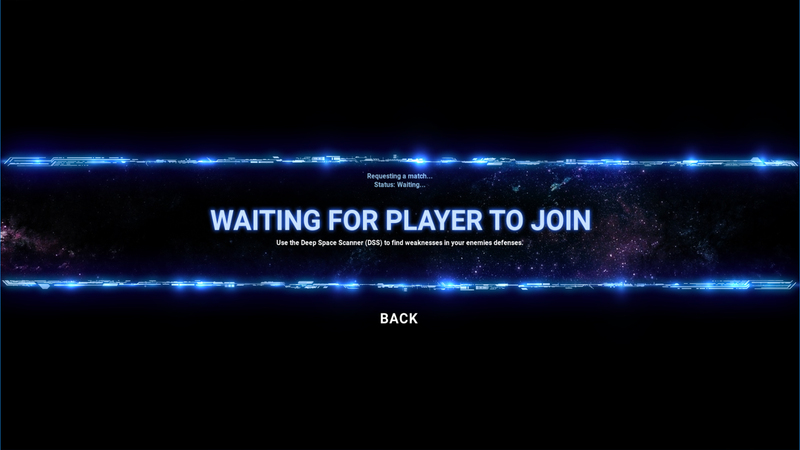 Click HERE to get it now on STEAM or try the FREE DEMO! Dominari is a fast-paced war game for RTS gamers that play games like Galcon, yet still desire deeper Starcraft-like strategies and abilities without sacrificing the fast-game adrenaline rush. At its heart, Dominari plays best when you pit your mind against others on Steam, or against your friend by inviting them to a match. You may also practice against the cunning AI to sharpen your skills. Either way commander…you will live, or you will die, based solely on each decision you make. 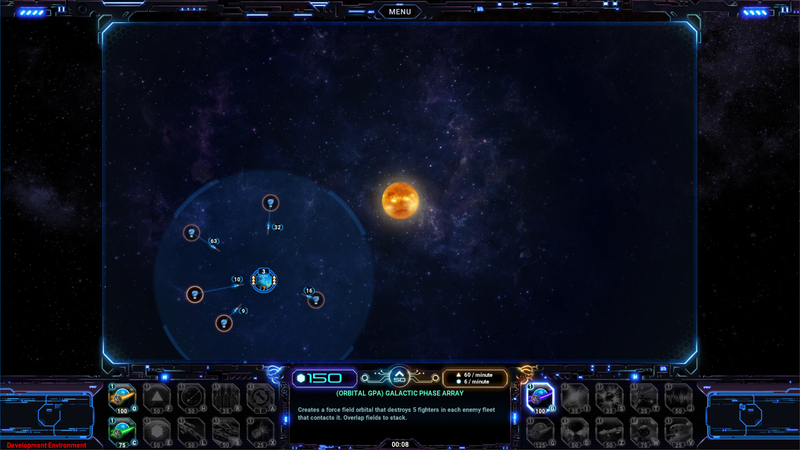 Dominari is defined as a micro-4x real-time strategy battle simulator where you explore, expand, exploit, and dominate a solar system while your enemy attempts to do the same. Unlike other node-based space war games, it combines quick reflexes, planning, situational awareness, and resource management to deliver an edge of your seat real-time experience. 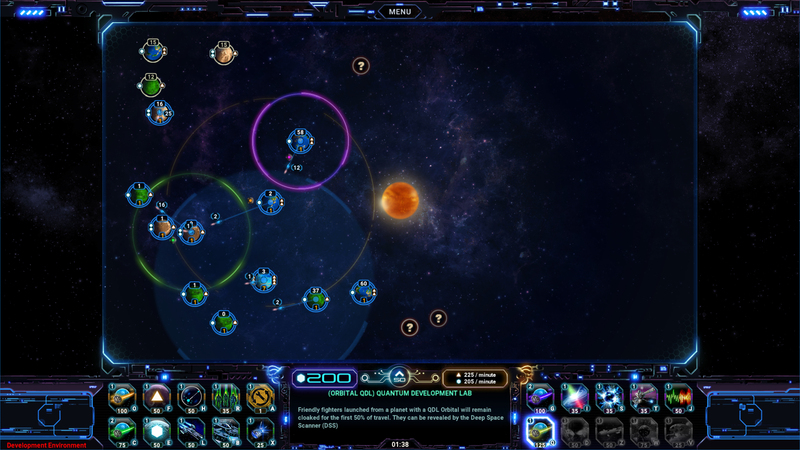 A vibrant HUD displays the solar map, colonies, resources, and weaponry. Unlock and upgrade 20 unique abilities by paying resource costs. Conquer enemy planets while protecting your own with layered defenses. 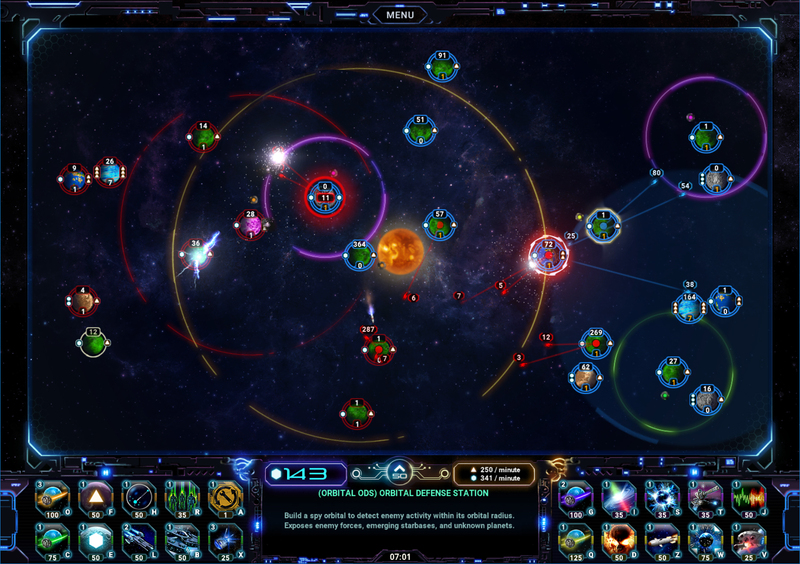 Each player starts with a Homeworld that produces fighters and has built in defense turrets. Explore nearby planets to determine which areas will be most important to your solar empire. Expanding your domain early is key to victory, so you must also conquer nearby planets to increase your area of control. 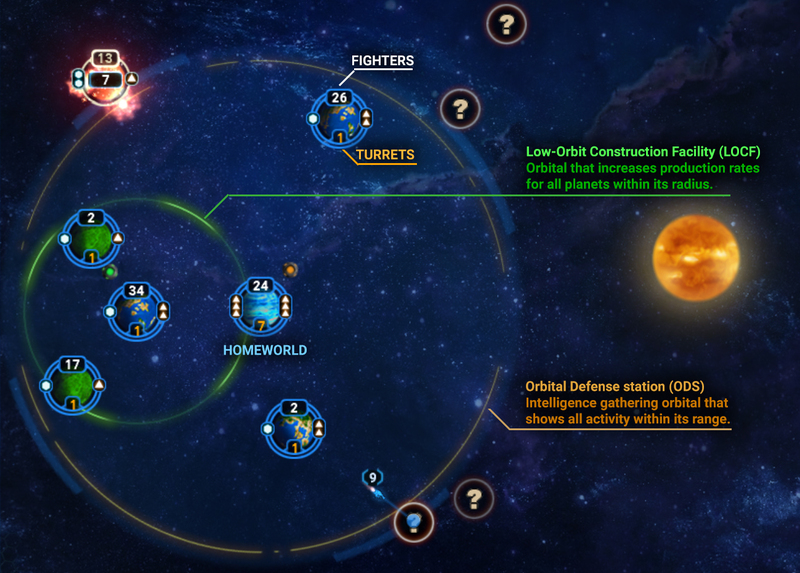 Planets increase your fighter and resource production rates. Expanding also gives you an opportunity to cut an opponent’s access off to a region, but be careful not to over-extend yourself! Pay resource costs to construct orbitals such as the Orbital Defense Station. Not only does the orbital itself give you tactical advantages, it also unlocks new abilities such as changing the type of planet to focus on one type of production versus another. The type of planet determines whether its production focus is weighted towards fighters or resources. Ensuring a healthy balance of resource income production and fighter production is essential to winning the game. Unlock tactical and strategic abilities by building each of the four orbitals types. Each orbital type brings with it unique capabilities and also unlocks a tech tree. Abilities cost resources to use, and many only provide temporary advantages. – Build a low-orbit construction facility to increase the production of all planets in its range. With over 20 abilities to choose from, and 3 upgrade levels possible for each ability, there is no end to the combinations of defense and offense you can employ.